All decorations available at Oriental Trading. 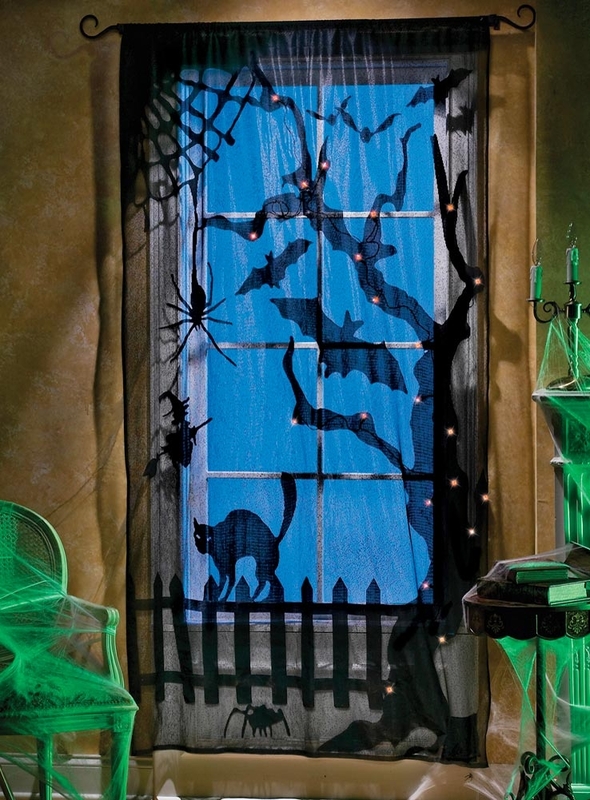 Spooky Lighted Lace Curtain. Hang this up in your window to set a spooky scene. I’ve also hung it on doors and mirrors to create a similarly eerie effect. 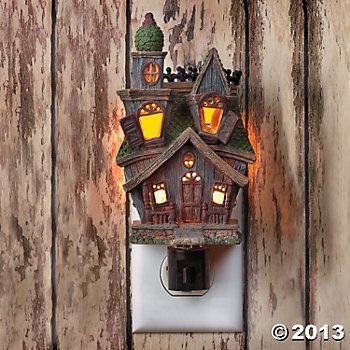 Haunted House Night Light. I like to put this in the guest bathroom or bedroom. It’s always a fun way to get your guests in the mood for Halloween! 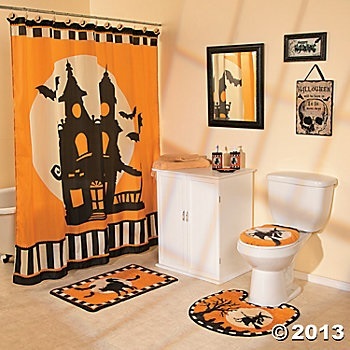 Halloween Bathroom Collection. Again, stick this in your guest bathroom. If your guests and family are not in the mood for Halloween, well you just gave them no choice! Plus, kids seem to love when the bathroom is decorated for holidays. 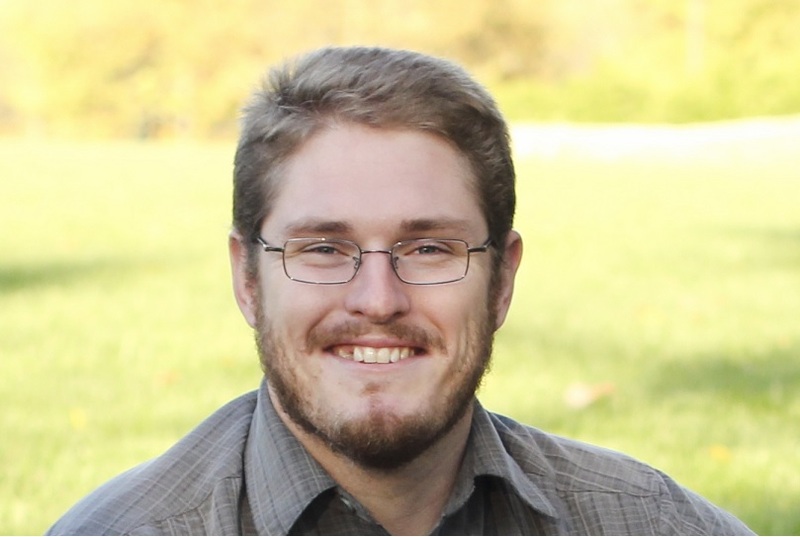 I’m not sure why, but it is true. I suppose it is also a good way to get your kids to use the bathroom more often. Witch Shelf Sitter. Not everything has to be creepy! 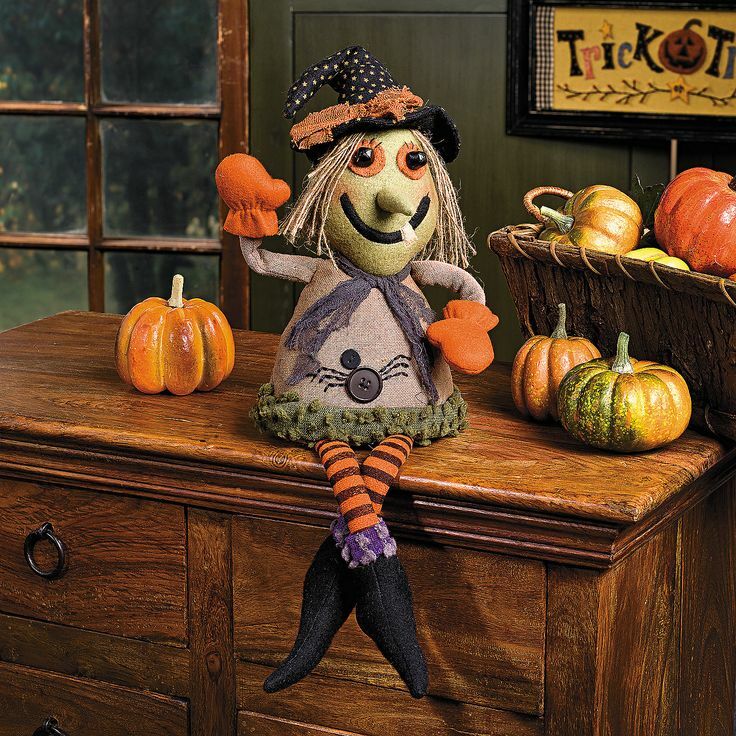 Add a little bit of cute to your Halloween decor (so as to not scare your kids too much) with this plush witch. 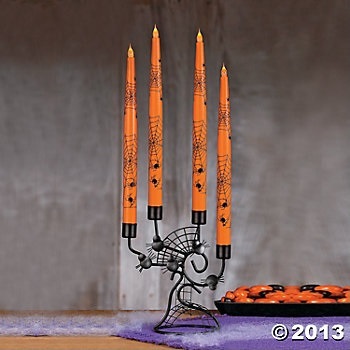 Halloween Taper Candles. Give the kids a reason to sit around your dinner table again! They will be eerily drawn to the flickering orange candles haunting the table, and then you can ask them how their day was while you have their attention. Look for more decorating ideas later this month!